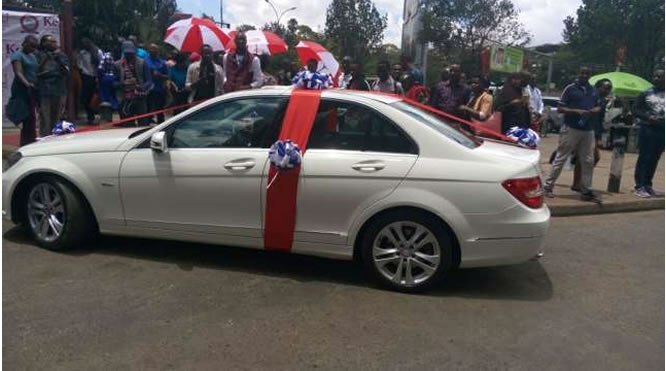 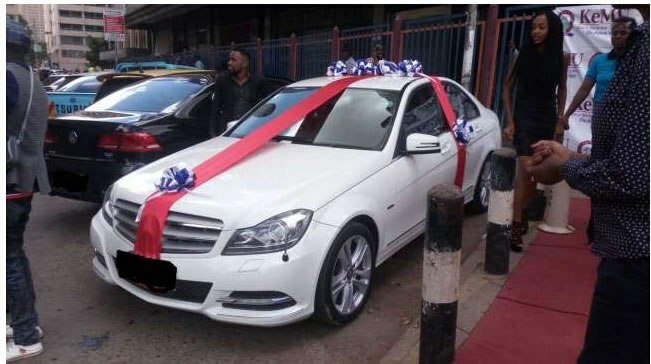 Gone are those days when men use to take the lead role in a relationship and this means buying of gifts to taking their women out for vacations but this young Kenyan lady has proven to us that what men can do, women can so better as she took the bold step of gifting her boyfriend, the car of his dreams. The young man has got a pleasant surprise from his girlfriend of four years on Valentine’s Day. 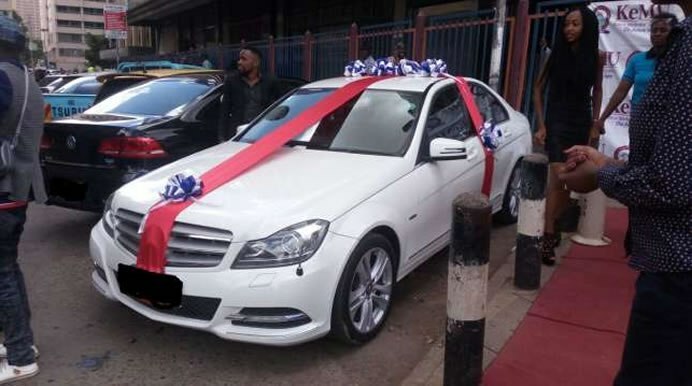 The lady, Fridah Kariuki, 20, a Kenyan model, bought her heartthrob a brand new E-Class Merdeces Benz. 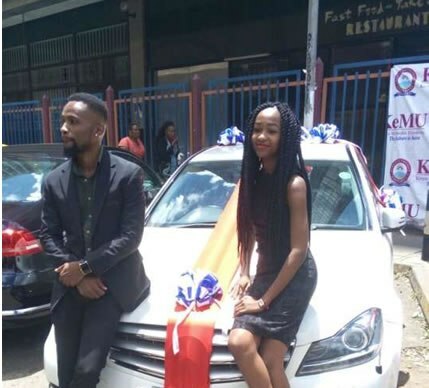 The Kenyan Methodist University student said she took a loan from her father to buy her boyfriend the car, which she described as the car of his dreams. 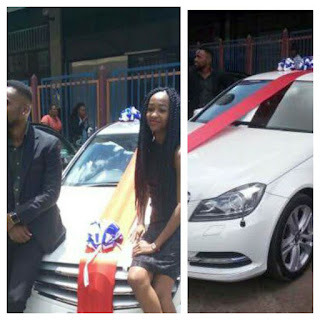 They said their parents are very supportive of their relationship and plan to move in together soon.